Excellent location, car traffic during rush hour only, otherwise wuiet and pleasant. It’s an easy check in system. I love the location and the comfort of the place. There is a kettle to make yourself a hot drink, a microwave if you do not want to eat out, and a small fridge too. Nice location, Clean and cozy apartment. Good location for a walk in nature. Good service, nice clean appartement for a good price. Comfy beds. Easy access to apartment. Easy to contact owners for help when alarm was sounding in another part of building. Free convenient parking. Access to outdoor dining area. Very clean. Good internet. Beautiful, quiet location. Really well renovated. Love having a fridge in the room and the welcome water and apple juice a lovely touch. Rooms were specious and the kitchenette was well equipped. In a quiet part away from the city centre but easy to get to the centre. Parking is free and easy. Room and facilities in the room are very good, the bed is comfy and shower is good and hot. Local facilities are good with bars, shops and food. 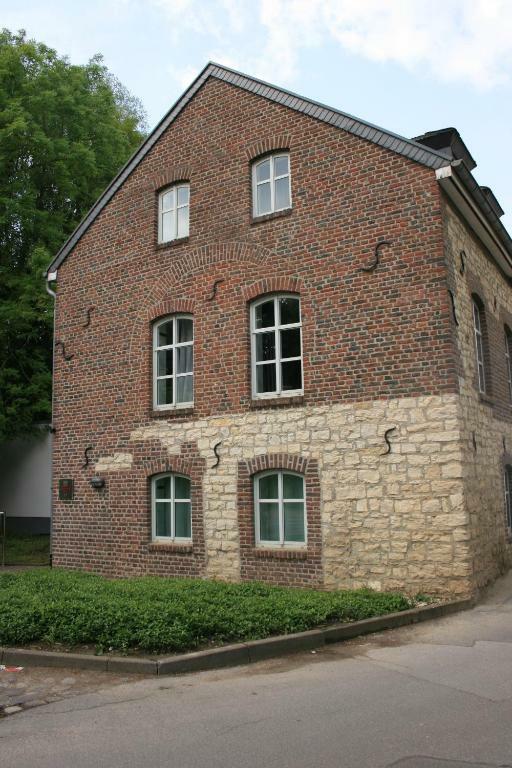 Lock in a great price for Boardinghouse Rathsmühle – rated 8.4 by recent guests! 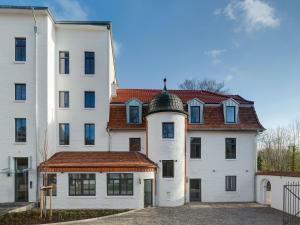 Located in the spa town Aachen, these apartments are elegantly decorated and provide flat-screen TVs. They are set just 5 mi from the tri-border of Germany, Belgium and Holland. Each of the apartments at Boardinghouse Rathsmühle comes with an equipped kitchenette, where guests are welcome to prepare light home-made snacks. A self check-in terminal offers guests independence and privacy, the individual access codes offer maximum security. 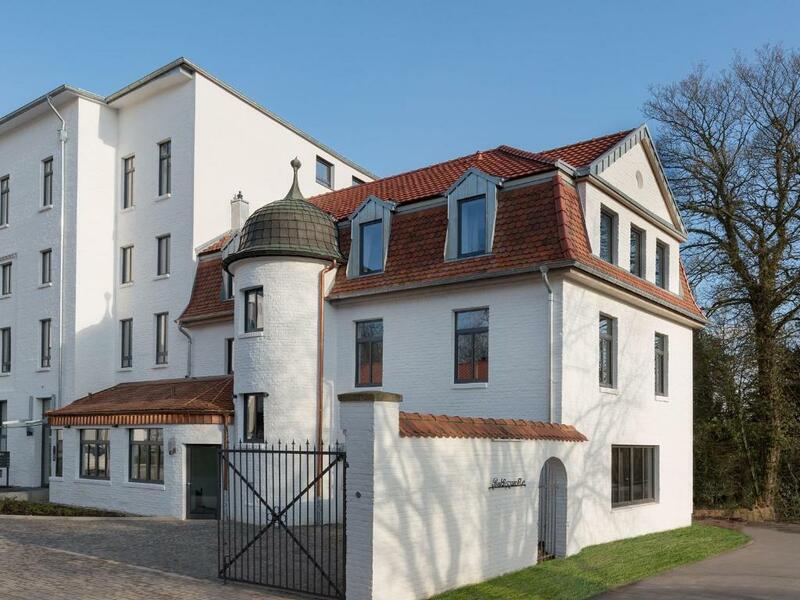 Set 1.9 mi from the historic center with its famous Cathedral and Elisenbrunnen well, Boardinghouse Rathsmühle is ideally located for a tour of the town. Aachen Golf Club is a 6-minute drive. Guests can reach the Dutch city of Maastricht within a 30-minute drive, and German city of Cologne is an hour’s drive away. The apartments are 3.1 mi away from Aachen Main Station. When would you like to stay at Boardinghouse Rathsmühle? This elegantly decorated apartment includes an equipped kitchenette, a flat-screen TV and a seating area. The apartment is cleaned 3 times per week, and bed linen is changed 1 time per week. This apartment offers more space and more luxurious décor. This elegantly decorated suite includes an equipped kitchenette, a flat-screen TV and a seating area. The suite is cleaned 3 times per week, and bed linen is changed 1 time per week. House Rules Boardinghouse Rathsmühle takes special requests – add in the next step! Boardinghouse Rathsmühle accepts these cards and reserves the right to temporarily hold an amount prior to arrival. Please note that there is no reception. An entrance code will be sent by Boardinghouse Rathsmühle via email prior to arrival. Please ensure you have the code before you arrive, as it it not possible to enter the property without it. Please note that the full amount must be paid in advance. The Boardinghouse will send you all the details by email. If you require an invoice made out to your company, please provide the company’s billing address in the special requests box when booking. The automatic check-in machine ist not so friendly. Comfortable bed. Good TV size. Key code entry operation problematic on arrival as instructions at door in German. Relied on another guest to let us in. A fan would have been appreciated as our second night was very warm. The printer at the log in station didn't work. The complimentary drinks and the coffee machine. Doors have a strange operating mechanism and are too close to the door frame such that knuckles are scraped every time you open the door. Plug sockets are not in logical positions. Bathroom lack somewhere to rest hair dryer / make-up. Bathroom mirror lights did not work. 1 socket by desk is not enough for coffee machine and computer / chargers. Thankfully I speak German but all information / instructions are in German. The access code for the door was not on my booking sheet. The 2 rooms we had in 19e on the top floor both smelled strongly of cigarette/cigar smoke when we checked in. The double room on that floor was also in need of a more thorough clean - the chandelier was absolutely coated in dust - and had a tv that didn’t work. Annoying that the only provided way to contact management was via phone as we didn’t have cell coverage. Found an email address and tried that but got no response in our 4 night stay. Check in process was overly complicated as I had to individually check in all 4 rooms even though they were all made at the same time under my name. I booked this accommodation for 1 person through Booking.com, but received and had to pay for a room for 2 persons. CAN SOMEONE PLEASE LET ME KNOW WHO AND WHY!!! The change and availability of towels was not really up to the standards.